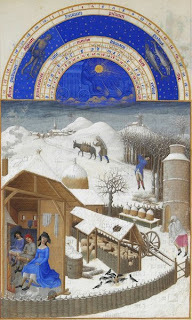 The Tres Riches Heures is _the_ classic example of a medieval book of hours. This was a collection of the text for each liturgical hour of the day - hence the name - which often included other, supplementary, texts. Calendars, prayers, psalms and masses for certain holy days were commonly included. 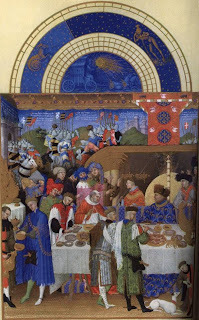 The Tres Riches Heures was painted by the Limbourg brothers, Paul, Hermann and Jean. 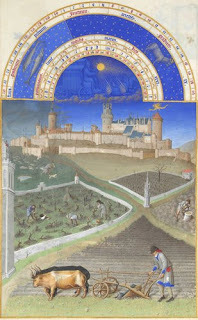 Jean de Berry was one of the highest nobles in 15th-century France. Ignatius Insight Scoop - The difference between "ministry" and "apostolate"
10. The fact that there are 143 million children without a parent to kiss them goodnight has made you lose sleep. 9. You can't watch Adoption Stories on TLC without sobbing. 8. You spend free time surfing blogs about families who have experienced the blessing of adoption. 7. You have welcomed a social worker into the most private parts of your life. 6. You had no idea how you would afford to adopt but stepped out in faith anyway, knowing where God calls you, He will provide. 5. You have taken an airplane ride half-way around the world with a child you just met. 4. You know what the word "Dossier" means, and you can actually pronounce it! 3. It drives you crazy when people ask you about your adopted child's "real" parents. 2. You realize DNA has little to do with love and family and that welcoming a child into your heart and family is one of the most important legacies you could ever leave on this earth. 1. You shudder when people say your child is so lucky that you adopted them, knowing full well you are the lucky one to have him or her in your life. 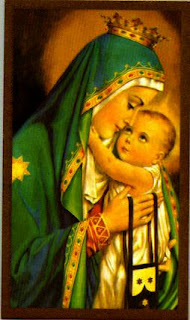 (I prefer to say that we have been blessed by God with our child). Now that Fr. Damien is thisclosetosainthood I thought it a good idea to put my efforts to pray for and to promote the cause of Archbishop Sheen. See sidebar for the prayer. The following is from the Honolulu Diocese's e-letter. As the sponsoring bishop for the cause of Archbishop Sheen, I was hoping you might include the following note in any upcoming newsletter/bulletin to your clergy. If you would like any more information about the status of the Sheen cause or the work of the Archbishop Fulton John Sheen Foundation, please feel free to contact my office (309-671-1561) or the foundation office (309-671-1550). We are very excited about the possibility of Bishop Sheen being the first American-born bishop to be declared “blessed.” Please include his cause in your prayers. 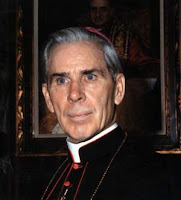 On February 3, 2008, the cause for the beatification of the Servant of God, Archbishop Fulton J. Sheen, was officially sent to the Congregation for the Causes of the Saints at the Vatican. Since that time, there has been a renewed excitement about the cause of Archbishop Sheen’s beatification. The Sheen Foundation, sponsored by the Most Reverend Daniel R. Jenky, CSC, Bishop of Peoria, has various speakers – lay and ordained -- available to give parish talks, missions or homilies about the life and witness of this Apostle of the Media. For a listing of those speakers or to receive biographical literature, holy cards and newsletters, please contact Fr. Stanley Deptula, executive director of the Sheen Foundation: The Archbishop Fulton John Sheen Foundation, Sheen Pastoral Center, P.O. Box 728, Peoria, IL 61652-0728, 309-671-1550 or e-mail, frdeptula@cdop.org. 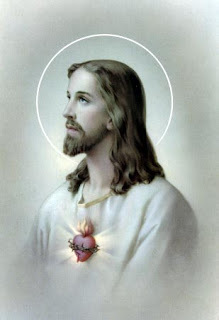 My friend Sue posted an interesting article by Fr. Paul McDonald regarding Communion in the hand. St. Thomas Aquinas reminds us that reverence demands that only what has been consecrated should touch the Blessed Sacrament. 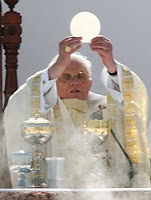 By baptism, the Christian has been consecrated to receive the Lord in Holy Communion, but not to distribute the Sacred Host to others or unnecessarily to touch It. “To touch the sacred species and to distribute them with their own hands is a privilege of the ordained, one which indicates an active participation in the ministry of the Eucharist” (Dominicae Cenae, 11). In recent days, I have seriously been rethinking my service as an Extraordinary Minister of Holy Communion. Since I know better than to believe things are coincidental any more, it is not surprising that Sue would post this particular article.